Content strategies include more than just creating remarkable and relevant information. You can’t just create your content and then forget about it. An important step is to analyze and evaluate your content periodically by doing a content audit. In a previous blog, Content Strategy and UX – Part 1, I discussed the best practices for your creating your content. I covered: voice, tone and style. For the second part of this topic, I will detail how to evaluate your content by performing a content audit. Whether you have existing content or you are starting from scratch, you need to start the content auditing process by creating an excel sheet. A content audit spreadsheet should include a row listing content elements and columns for your analysis of each element. Objective analysis enables you to collect facts about content. You could include various content elements like content title, description and what links are included. Does it use the proper voice, tone and style? Include as much detail in the content audit spreadsheet as possible, even if you’re making some educated guesses. The goal is to build a checklist that is useful to measure your contents’ ability to provide the right information, at the right time and in the right place. Two factors to emphasize in content audits are categorizing and identifying gaps. 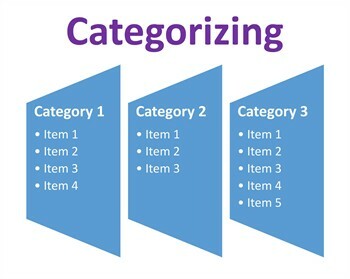 Creating categories helps you organize the collected information in the content audit spreadsheet, by grouping similar items together. You could categorize the content by asset type, HTML, text, or video, for example. Be creative and experiment with different ways of categorizing content. Always document categorization ideas in your content audit spreadsheet. You may not use every category you come up with, but you’ll want to record them all for future projects. Brainstorming creative new categories may allow you to discover new patterns that bring different content elements together. Once you finish creating or editing your content audit spreadsheet and categorizing, it’s time to perform a gap analysis. Gaps point to information that is missing from existing content and would be relevant to users. Some gaps will be easily identifiable, depending on the message you are trying to communicate. For example, pretend you are hoping to leverage interactive elements to deliver an engaging experience. When you complete your audit and categorization, you notice the interactive elements are distributed unevenly. You may detect that some assets are outdated and should be replaced. You may also identify that there is information missing in certain pages. These are the types of gaps that need to be addressed. List these gaps in your content audit spreadsheet. When you beginning developing more content, you’ll know which types of content to prioritize and which gaps to focus on. Conducting a content audit is a useful way to evaluate your content offering and find strengths and areas for improvement. 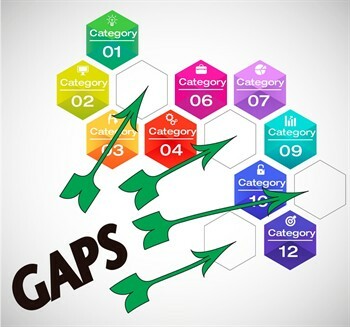 Create a spreadsheet to categorize your content and identify your gaps. Content audits are an important piece of a successful content strategy. Analyzing the effectiveness and types of content you are offering will allow you to provide the most relevant and compelling content to your customers. Why Google Places is Important for International Business? Farah is a native Arabic speaker born and residing in Cairo, Egypt. She received her degree in Commerce and English from Ain-Shams University studying marketing, management, economics and accounting. 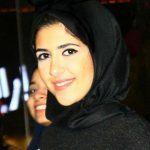 Her experience includes working in various specialties in global digital marketing with specific training in Link Building, Website Traffic Analysis, On-page Optimization and Off-page Optimization as well as standard Social Media Marketing. She is skilled in a variety of tools including Adobe Photoshop, Adobe Light Room and SEO tools such as Google Keyword Planner, SeoMoz, Opensite Explorer, Google Analytics and Webmaster Tools. She enjoys playing sports such as swimming and basketball and loves to read in her spare time.